Make your event an experience they’ll remember and equip the audience with key lessons that will fuel their job performance. As an event professional, your number one task is sometimes a negative one: Everything you do is focused on NOT creating a super boring conference. Words like innovative and engaging should mark your event, and leave a lasting impression on your attendee’s minds. Tons of blogs and conferences are devoted to this single idea: Creating a conference that sets the bar high. Not just doing the same old, same old, or copying the latest trends. You need solid results. After all, you’re paying top dollar to gather your employees together, and you need them to come away from the event jazzed up and invested in your brand’s mission. If you want to meet — and even exceed — these goals, you need make your event an experience. Need to find a way keep your audience on their toes? Think about the last conference you attended. The recipe goes something like this: the event leaves people short on sleep, high on people interaction, and deep in information overload. Change things up — constantly. Surprise attendees with the unexpected. Instead of holding all of the main sessions in the same room, change it up. Take the group outside, weather permitting, or hold the session in the lobby. Switch up the layout, for example, instead of keeping people in their seats, let them wander the aisles or form circles. Use interactive installations. throughout the event venue to further enhance learning and engagement. Turn to technology to activate or deactivate various activities throughout the day. Even changing the background of the event app or on-stage screen, or swapping out some simple graphics will spark new interest. You can turn your event into a true experience by putting the audience at the forefront. Instead of delivering a dry speech, get them involved. 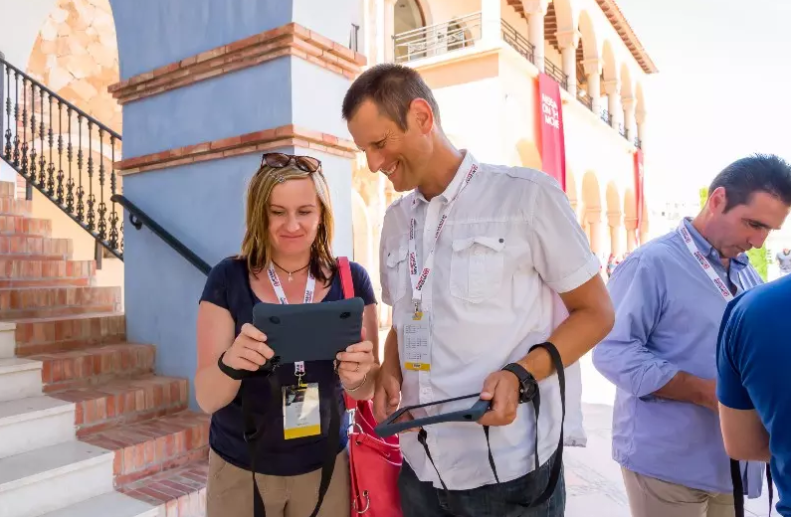 Using their favorite devices such as tablets, smartphones or laptops allows your attendees to ask questions, offer feedback, voice their feelings on hot industry topics or share photos. There’s nothing like “wasted time” to bring an event down. If the attendees feel like they’ve wasted their time at the event — i.e., they come away not knowing its purpose or feeling as if they haven’t gained anything of significance — they’re sure to forget the important event. Make sure you link the event’s theme or message throughout other aspects of the conference. Empower the theme of your conference or seminar with a digital event solution. Make it explicit with graphics and throughout the features/activities you use in the digital solution. Connect it throughout the conference with the games and activities attendees play, and via the networking and getting-to-know-you exercises. Organize treasure hunts, outside activities, and excursions by using QR codes or iBeacons to launch hidden activities to further solidify the event’s message. Without engagement-focused and experience-enhancing activities, your event can flop. Don’t let attendees come away from the meetings with the nagging feeling that it was all for show. Make your event an experience they’ll remember and equip the audience with key lessons that will fuel their job performance — and increase your company’s ROI.